Dog owners around Sydney are blessed with great dog friendly travel destinations. 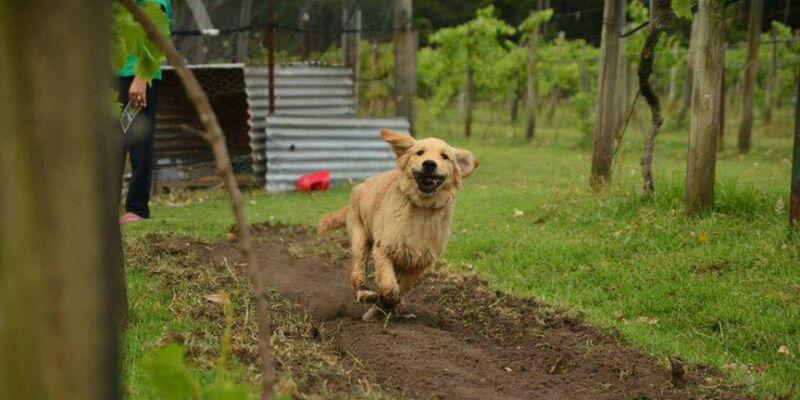 Try wine tasting with your dog in the Hunter Valley, escape from the city to Southern Highlands or go hiking with your dog in the Blue Mountains. But if you are simply looking for some chillaxing time with your pup, travel south from Sydney and discover the beautiful dog friendly NSW South Coast. 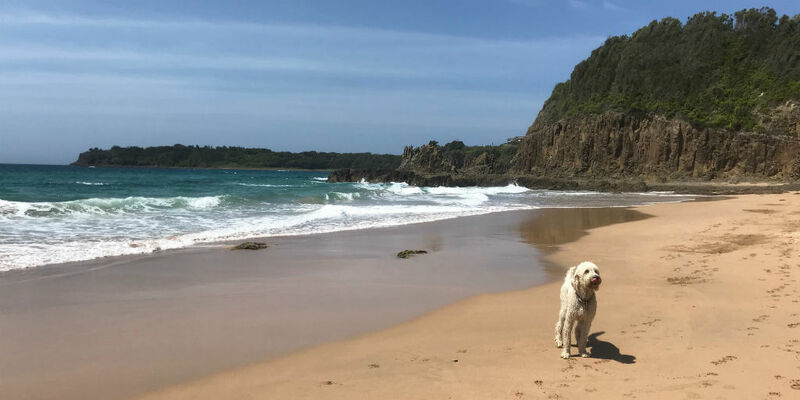 We have listed the best dog friendly places from walks, beaches, pubs and cafés to make your next visit to this beautiful NSW coastline with your dog a truly memorable experience! Approximately after 2h drive south from Sydney, you will arrive to a popular travel destination of NSW South Coast. 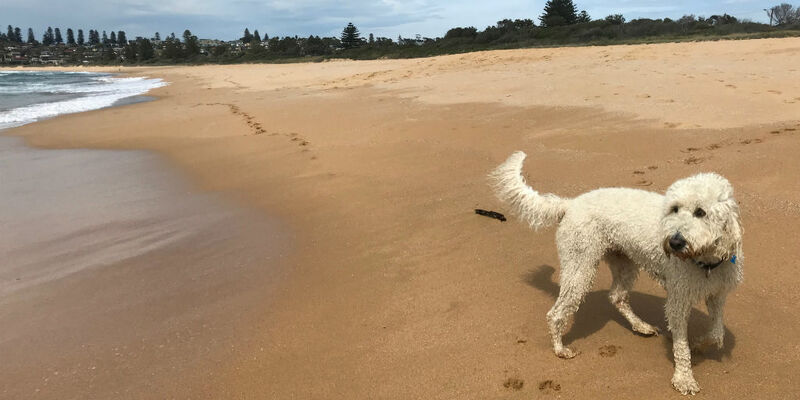 It offers plenty to explore for you and your dog from dog friendly beaches and parks to beautiful art & craft towns and markets in Kiama and Berry. The climate is also well suited for wine growing so make sure you visit one of the dog friendly wineries in the area. Two bedroom dog friendly country side house with stunning mountain views. 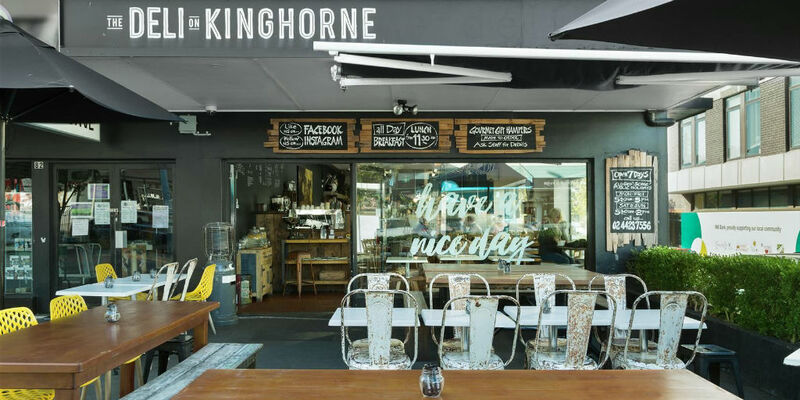 Hedgerow Berry is close to everything, only a few minutes from the boutiques and cafes of Berry, Kiama and Nowra. Chilled beach vibes with your dog surrounded by hand crafted items and tranquil outdoor setting. 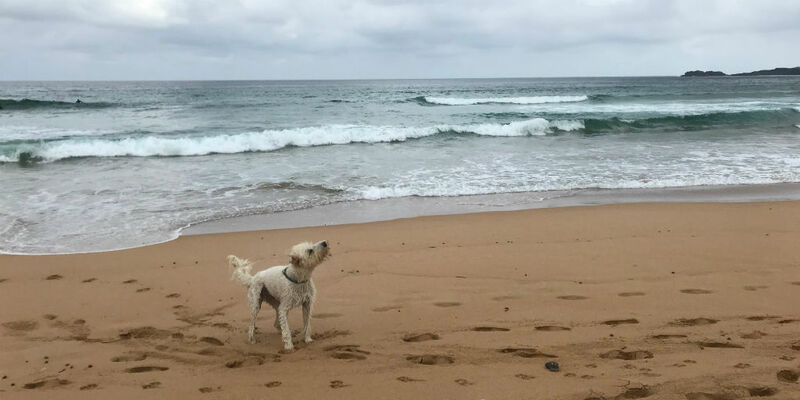 Dog friendly Werri Beach is right next door and Gerringong town centre is only a short stroll away. Perfectly located dog friendly accommodation with private pool. 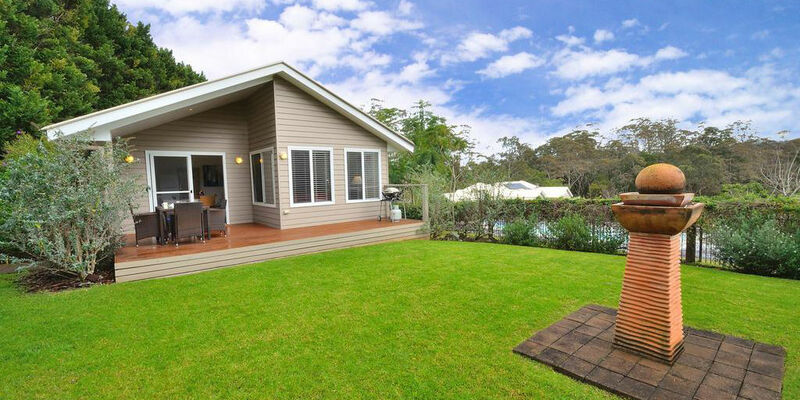 Belvoir Pavilions is only a minutes away from boutiques in Berry, dog friendly hikes around Nowra and the beaches of Shoalhaven. Find other dog friendly accommodations in the South Coast and beyond on Pupsy! Life’s a dog friendly beach! There are plenty of dog friendly parks and beaches to choose from, thanks to a very dog friendly Shoalhaven Council. Here are Lumi the Groodle’s (our Head of Quality) TOP 3 Dog Friendly Beaches in the area. For the full list of all dog friendly beaches click here! Absolutely stunning beach for both you and your dog to relax, run and play. It is ok to go for a swim as well but keep on eye on your dog as the currents in the area can sometimes be rather strong. One of our go to places every time we are in the area! Regularly inviting families, couples, dog owners, surfers and even fishermen to share this wide beach filled with soft sand. Dogs have plenty of place to roam and sniff or have a dip into the surf. Berry really is the centre of good food and cafe scene, however also Kiama Farmers’ Markets is definitely worth a visit with your dog. And if you are interested in a little scenic drive inland, Jamberoo Pub should definitely be one of your doggie pit stops. 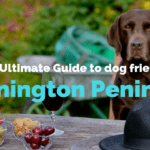 We have collected the best dog friendly cafes and pubs for you to choose from. 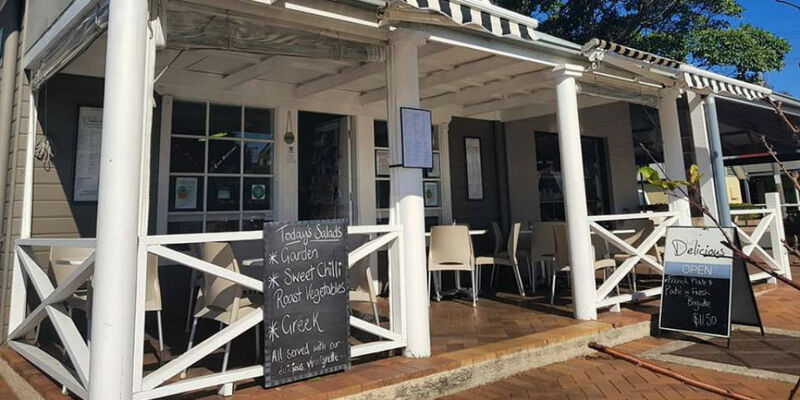 Whether you are after a healthy brekkie, lunch or maybe taste some delicious pastries with your favourite style of coffee, Garden Berry is guaranteed to satisfy you with their menu, setting and location. They are proud to be dog friendly and your pup is surely going to get heaps of attention from the friendly staff. Although dogs are only allowed outside, it offers plenty of cover from sun or rain. Did I hear Puppycino? That’s right, dog friendly Just Delicious has even cute little puppycinos on offer (for your pup that is). Dogs are welcome to join you on the covered verandah. Try it once and we are sure you will return. 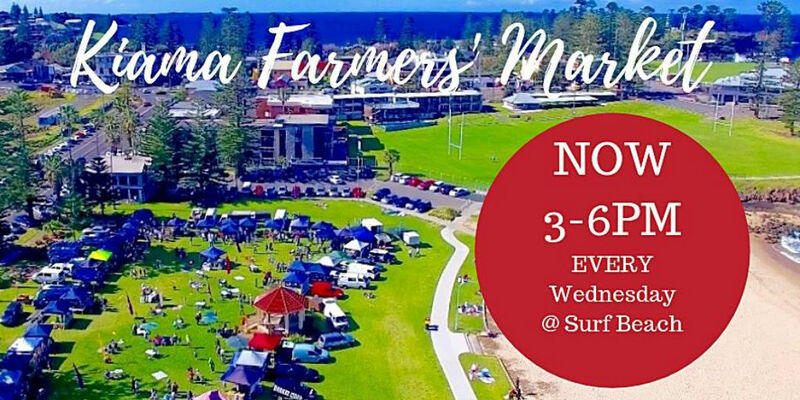 If you are passing by or staying in the area during the week, we highly recommend to drop by at the dog friendly Kiama Farmer’s Market. Great variety of food is on offer from various local food stands. Or maybe you get your olives, cheese and salami to take with you to enjoy with a bottle of wine at home. Unfortunately there is not a single pub in Berry or Kiama allowing your dog inside. 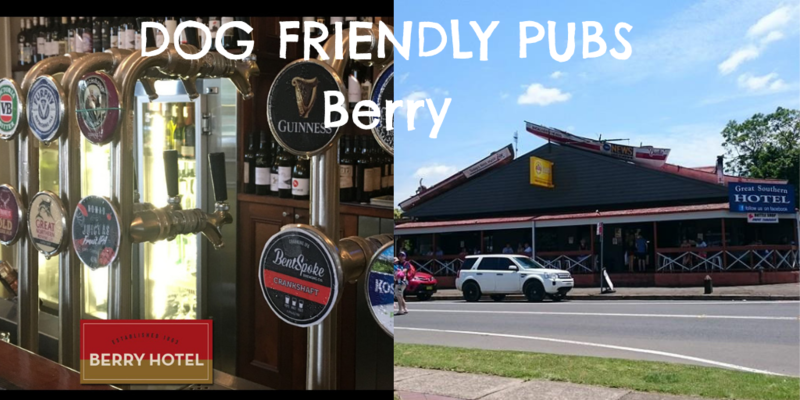 Berry Hotel and Great Southern Hotel allow your dog to join you for a drink on their covered outside areas so unless it gets really freezing cold, have a seat on the verandah and watch the world go by on the busiest street in town. Up for a little scenic country side drive with your dog? 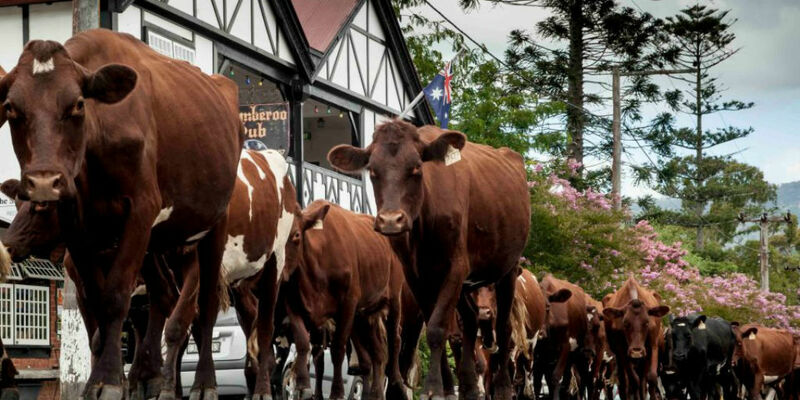 Don’t miss Jamberoo and it’s well known locals’ and visitors’ pit stop, The Jamberoo Pub! Dogs are welcome not only at the beer garden but also inside the bar, so no need to worry about the occasional drop or two (from the sky or tap!). 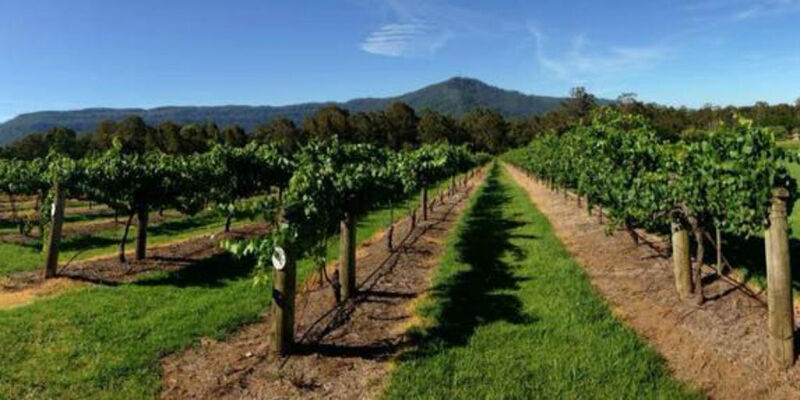 Wine growing in the region has flourished during the last 20 years or so to become one of the most essential wine areas in the NSW together with Hunter Valley and Mudgee. Luckily several cellar doors are also open for the four legged visitors. 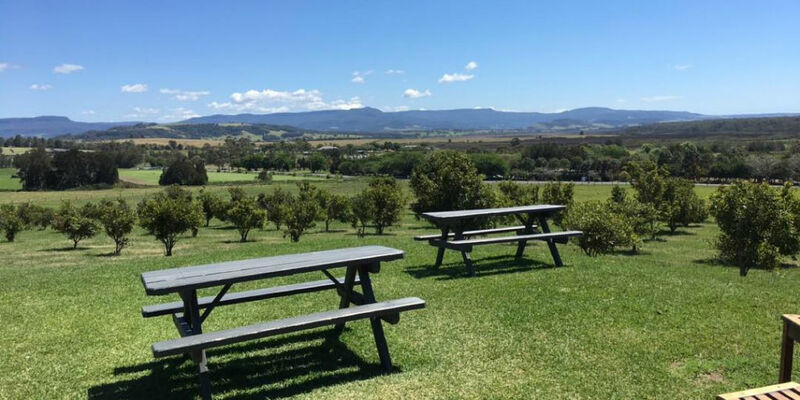 Located only a few minutes drive from Berry towards Shoalhaven Heads, dog friendly Mountain Ridge Winery is a great option to stop for wine tasting or some lunch before (or after) hitting the beach. 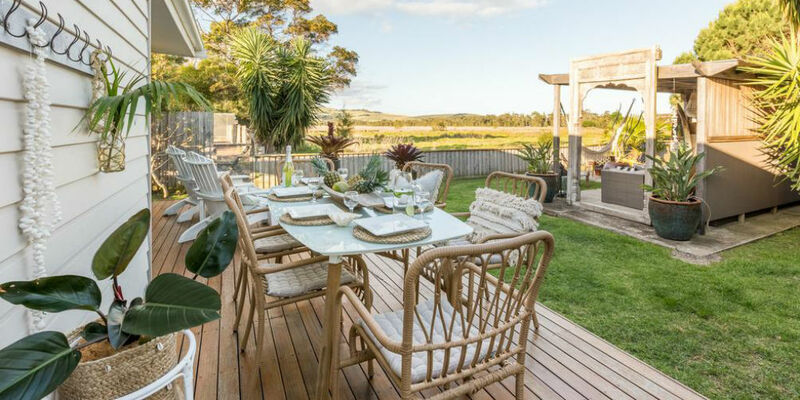 Stunning views of the rolling hills and paddocks forces you to drop any city life thoughts. Dog friendly beach at River Road Reserve in Shoalhaven Heads is only a few minutes away. Take in the fresh country side air and simply chillax. Silos Estate invites pets of ALL kinds to join their human parents for wine tasting in the beautiful premises in Jaspers Brush. They have had dogs, cats, horses and even a python visiting them in the past. 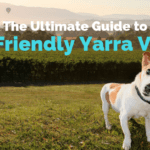 Dog friendly cellar door, outdoor dining, scenic views and world class wines. Combination all wine aficionados travelling with their dogs should be interested in. 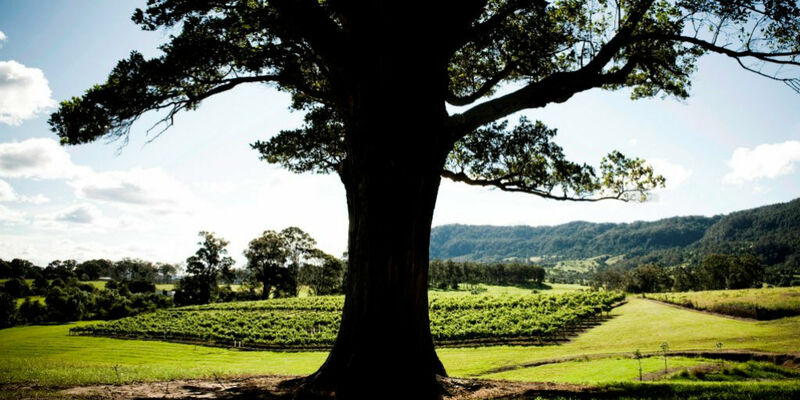 Lyrebird Ridge is a small organic dog friendly winery situated on 40 acres of bushland only 20 minutes from Kangaroo Valley , 25 minutes to Berry and 15 minutes from Nowra. There are 2 acres under vine and 5 dams providing swimming and fishing during the warmer months. There is a natural gully on one side and the vineyard on the other makes a lovely tranquil spot to relax and read a good book. 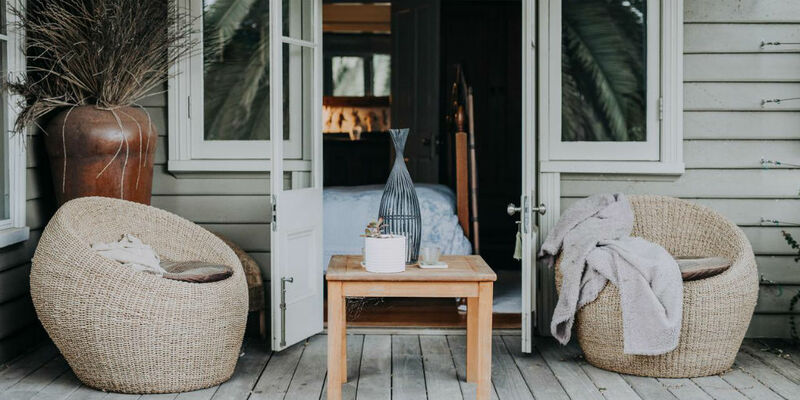 You can wander around the property and the vineyard, feed the chickens, collect the eggs, throw in a yabbie pot in the warmer months and see what you catch. 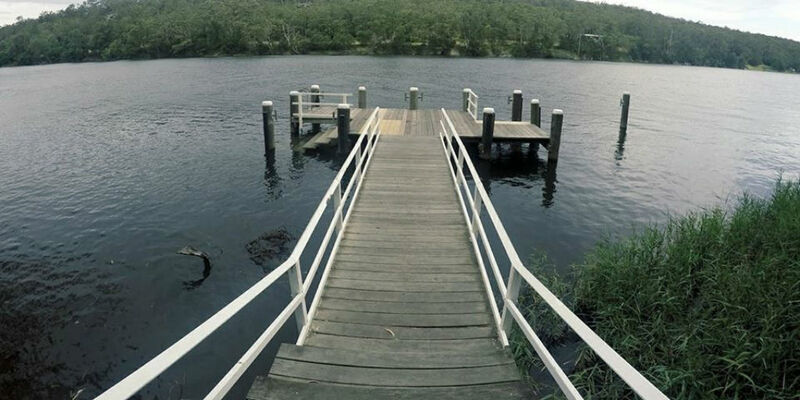 On the banks of beautiful Shoalhaven River, Nowra is a delightful town with full of great coffee shops, dog friendly hikes and close to gorgeous dog friendly beaches. Rich soils support farmlands and vineyards, and the river estuary is part of Australia’s Oyster Coast. For breathtaking panoramas stroll along dog friendly Bens Walk and stop at Hanging Rock (feature image above). 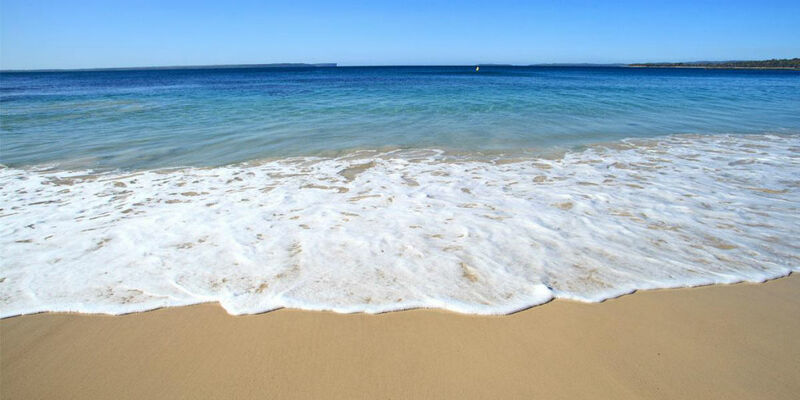 Drive less than an hour further south and you will arrive to the beautiful beaches of Jervis Bay. There are several stunning dog friendly beaches and coffee shops in the charming seaside towns such as Huskisson and Culburra for you to enjoy one of the most pristine waters in the NSW coast. 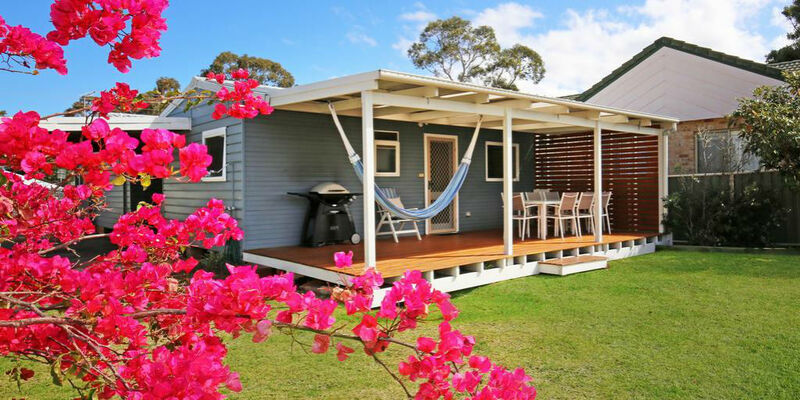 Beautiful dog friendly beach house with lush green backyard and only few minutes away from the dog friendly Currarong Beach. Hike to the nearby Abrahams Bosom with your dog and relax in your patio with seaviews. 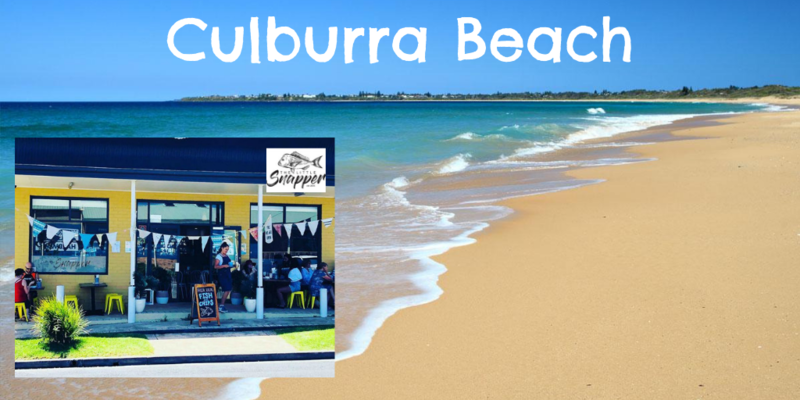 Culburra Beach is a quiet seaside town just 20km away from Nowra. 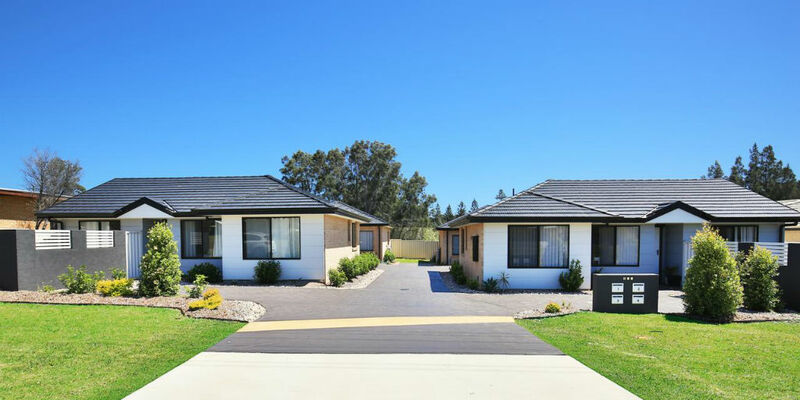 Villa Mare offers modern dog friendly stay only a few pawsteps away from the dog friendly Culburra Beach. 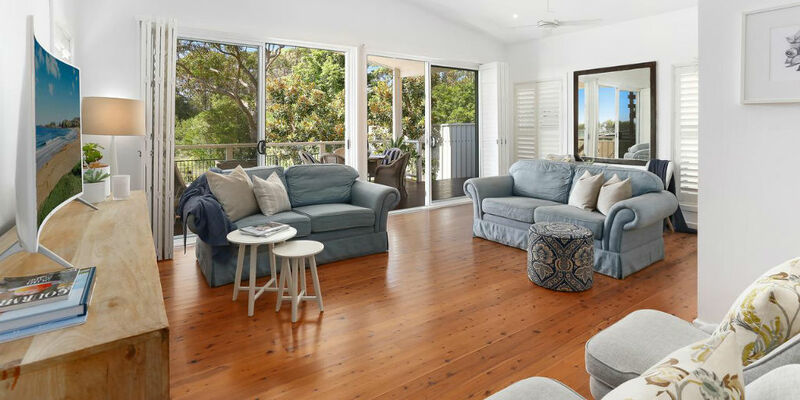 Award winning dog friendly beach house right next door to one of the most scenic dog friendly beaches in Jervis Bay. This 3 bedroom house is a perfect getaway with your entire family. 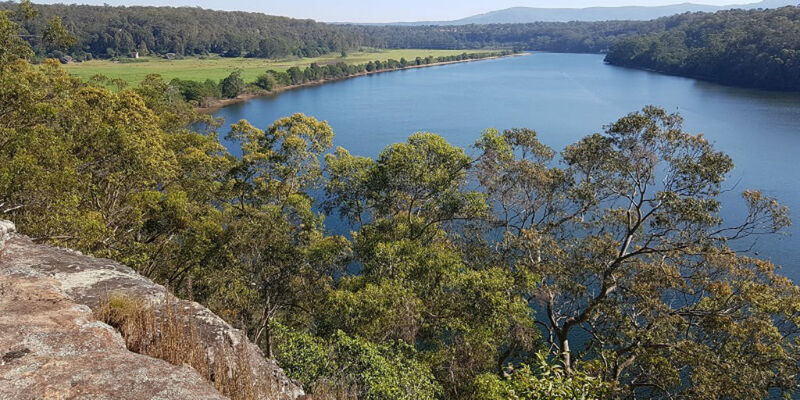 Along the Shoalhaven river banks you can find several dog friendly hikes and walks of different lengths and difficulty levels. We definitely recommend you to try Bens Walk and The Grotto as a unique outing opportunity for you and your dog but there are many others as well. Find other dog friendly hikes on Pupsy! Approximately 5.5km in length (you can also walk just parts of it), Bens Walk is one of the most popular walks in the area. It provides access to the famous Hanging Rock Lookout that simply takes your breath away! If you are looking for an easy grade walking tracks in the native bushland, Bangalee Reserve is a great choice. It also has picnic tables for you and your furry friend to sit and relax and have a bite to eat. Start the walk from the top of the cliff and make your way down to the riverbanks. Listen to the birds and stop around the picnic area before climbing back up to your starting point. Time just disappears and you won’t believe how close to town you actually are. 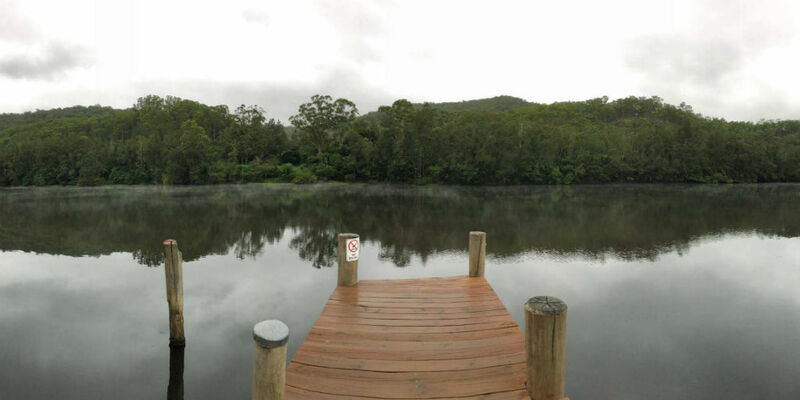 For the more exploring adventurers, head 40-50 minutes west from Nowra to Gradys Riverside Retreat. This dog friendly camping site offers a delightful scenery and camping right on the river. There is no town in Burrier so bring your essentials from Nowra. 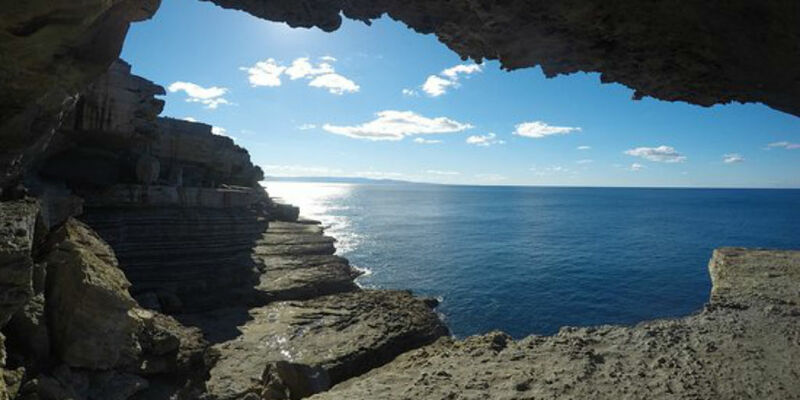 A natural wonderland, Jervis Bay on the NSW South Coast is a perfect seaside escape. From the crystal blue waters and resident dolphins to splendid beaches and fun water sports, this coastal paradise in the Shoalhaven region will delight you and your dog with many memorable experiences. Long stretch of open white sand and clear waters. Culburra Beach is a relaxed small seaside town north of Jervis Bay. On your return from the beach, stop by at the dog friendly cafe The Little Snapper for a quick refreshment before hitting the road again. 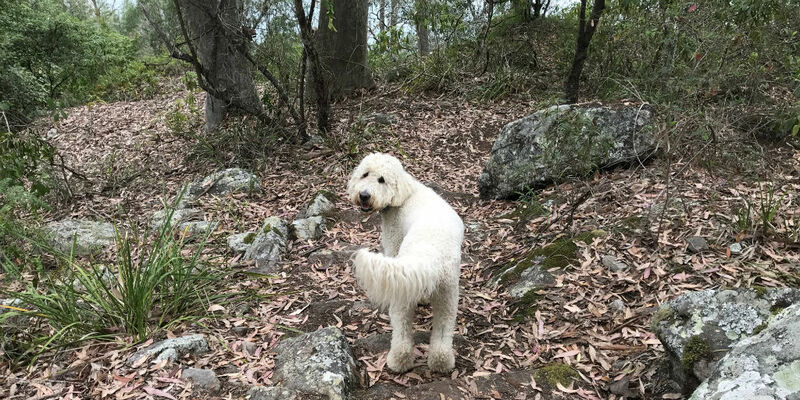 In the remote seaside town of Currarong you will find one of the most amazing walks in the South Coast with your dog called Abrahams Bossom. But head first to the dog friendly Currarong Beach for a splash. Wreck Walk is 3km long and takes you to Abrahams Bosom through the famous Gosangs Tunnels. Dogs are allowed off leash (restricted times) south from the Caravan Park close to the town centre of Huskisson. Crystal clear waters and white sandy beach is a perfect place to have fun with your dog and meet other dog owners. 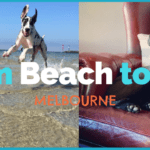 There are plenty of other dog friendly beaches in the area such as Nelsons Beach, Callala Beach and Swan Lake Beach. 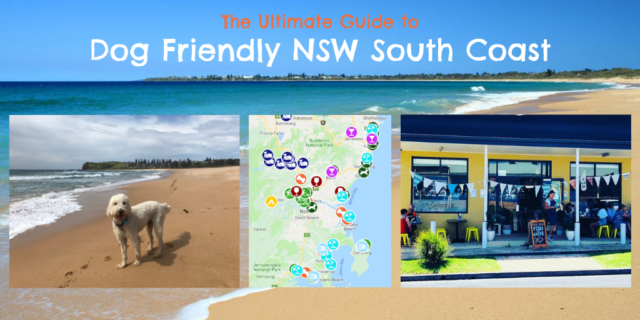 Click here to find all dog friendly beaches in NSW South Coast (and beyond)! There are probably thousands of cafes in the area and many of them allow dogs to join you for a coffee at the outside tables. We have picked the following cafes based on the level of dog friendliness (e.g. outside areas are under cover, water is provided, staff is dog friendly) and their location. Babies and pooches are all welcome to The Hopper Society and very often this in deed is the scene. Dogs are not only tolerated but welcomed by the staff and you really don’t feel like an intruder bringing your pup here. 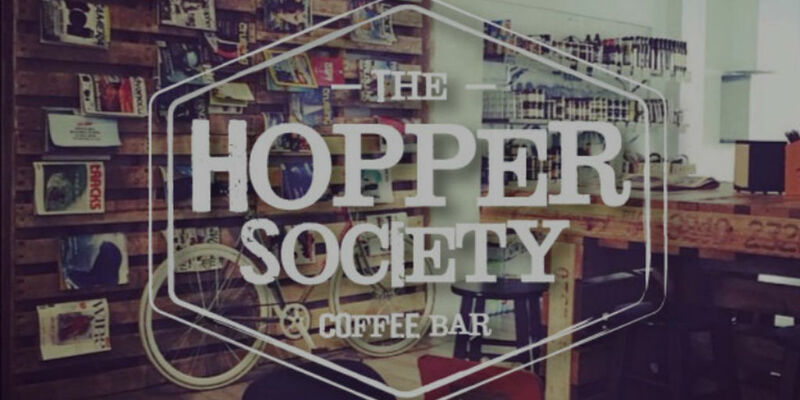 As a dog cafe central, Kinghorne Street has another dog friendly cafe right next door to the neighbouring The Hopper Society. The Deli on Kinghorne welcomes dogs in their outdoor area. 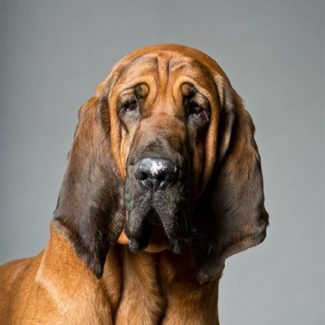 Check out their facebook site for heaps of photos of the local loyal four legged visitors. Oh and don’t miss the doggy treats on the menu! A little bit out of the way but so worth the drive! 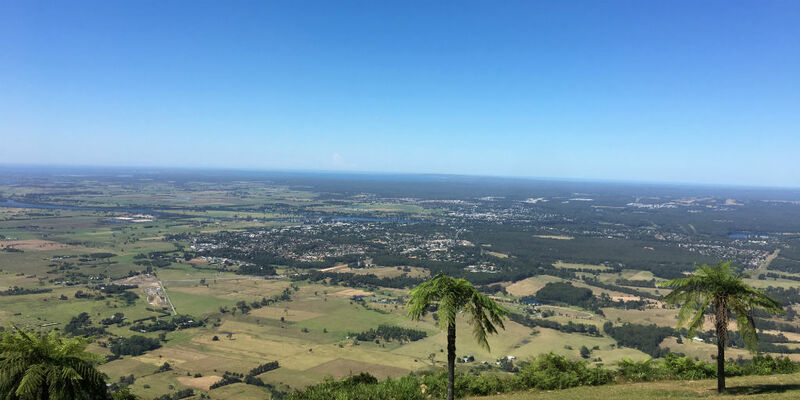 Views over Nowra and the entire Jervis Bay are breathtakingly unique. There is no other spot with similar scenery. And that’s not it. Dogs are welcome on the viewing deck and remember to ask their irresistable puppycinos! 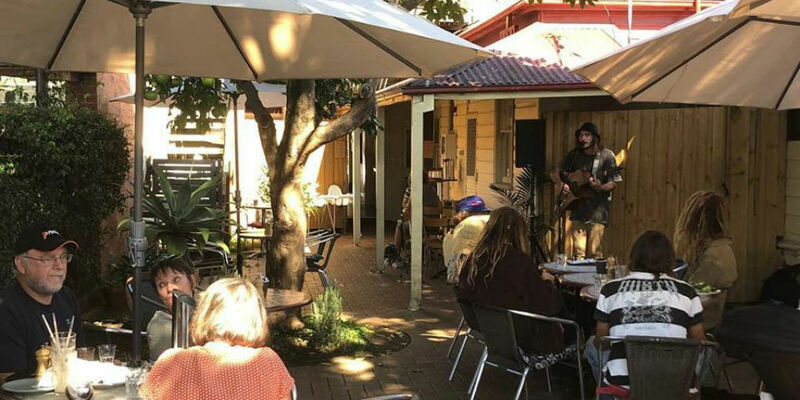 We also highly recommend you to view the entire dog friendly cafe directory on Pupsy for more places to visit such as The Pelican Waterfront Cafe in St Georges Basin and Pelican Rocks Cafe in Greenwell Point. Shop fresh produce from the locals or discover your favourite arts and crafts. Jervis Bay truly offers something for everyone and you are more than welcome to bring your dog along (on the lead for obvious reasons). 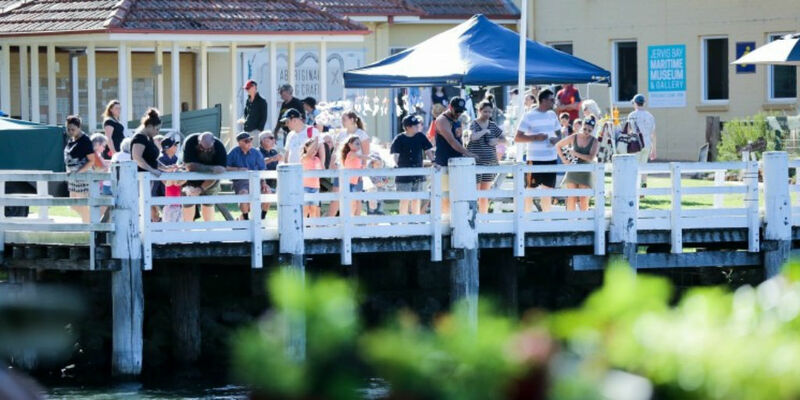 The Huskisson Market is a monthly market with something for everyone, right in the heart of the seaside town. 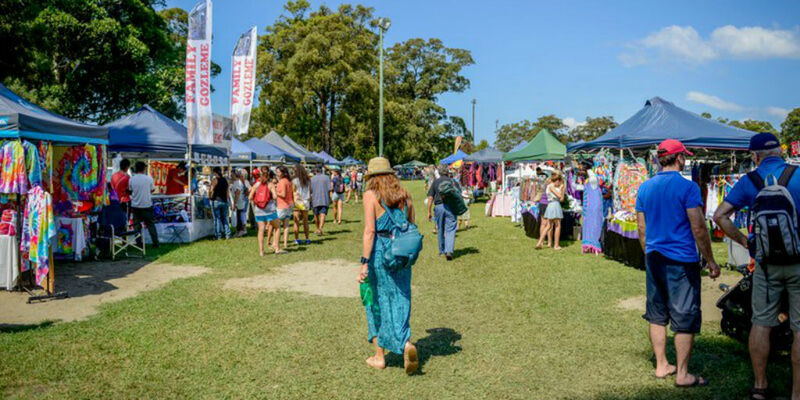 You’ll find live plants, unique arts and crafts, fresh produce, bric-a-brac and much more. Lazy Saturday afternoon, cold drink, relaxed setting with local stalls and live music. Maybe you have just finished an amazing dog friendly Mangrove Boardwalk, which starts from the Maritime Museum. Market not to be missed when you are in the area. Did we miss an amazing dog friendly place? Let us know about it at hello@pupsy.com.au. Don’t forget to leave a review of the places you visit. Reviews help other dog owners to find the best dog friendly places and the venues to know what they are doing right and what needs to be improved! 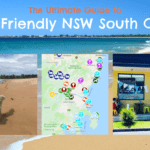 Have fun in NSW South Coast with your dog!